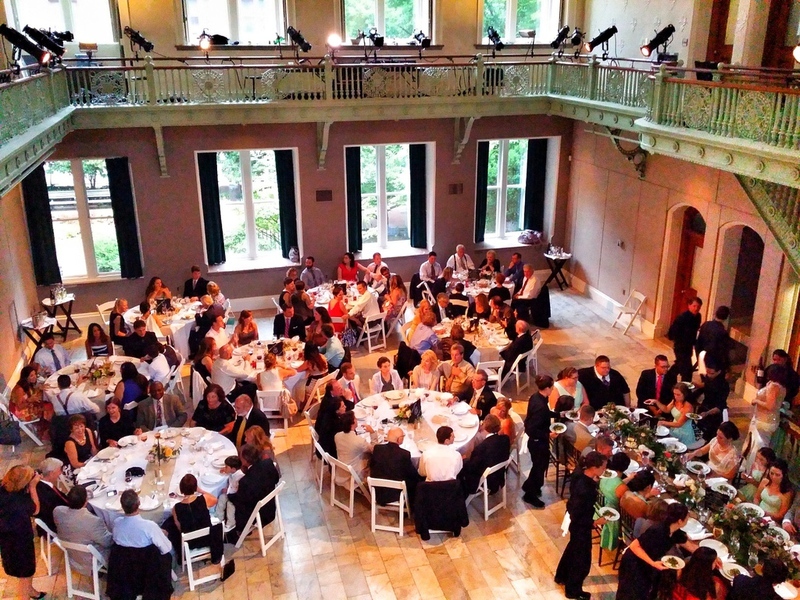 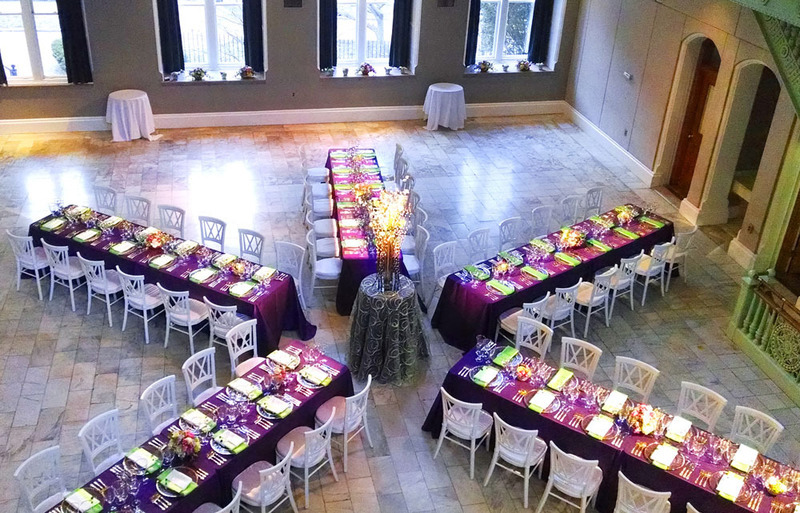 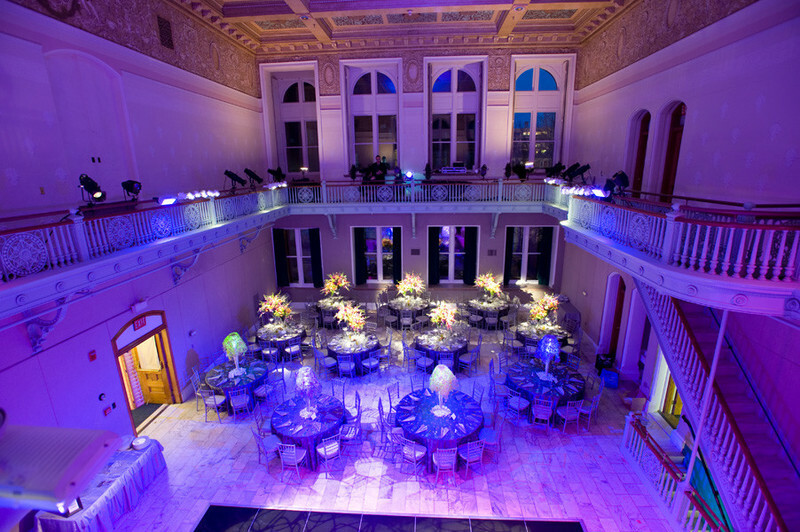 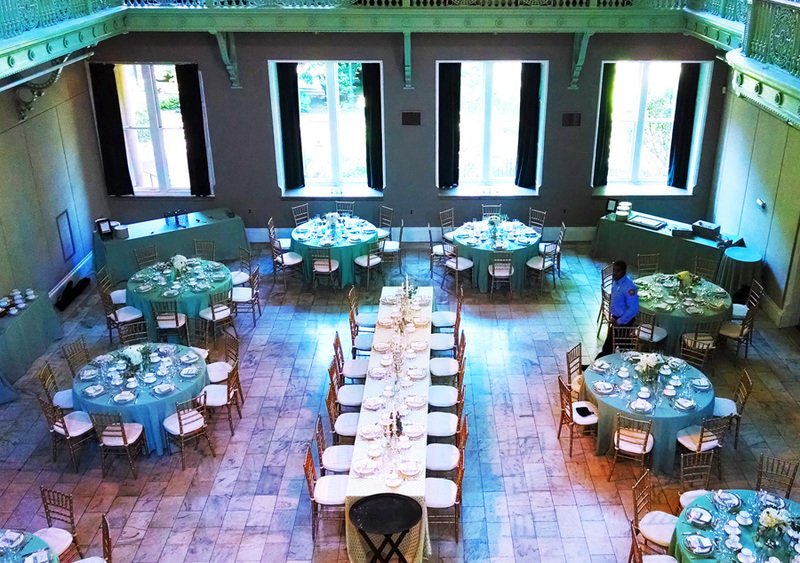 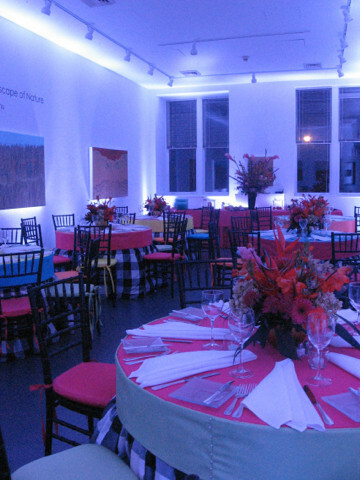 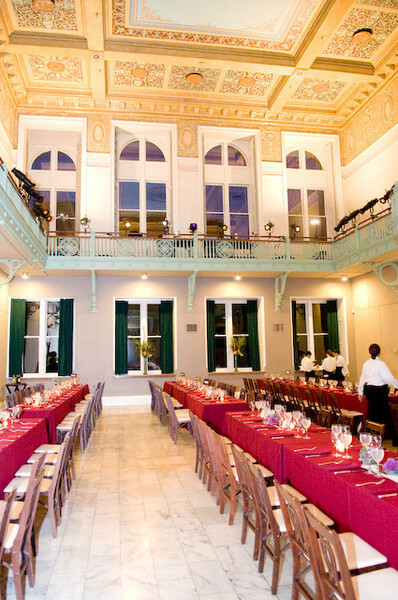 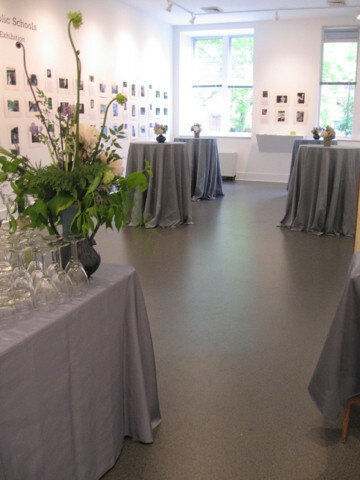 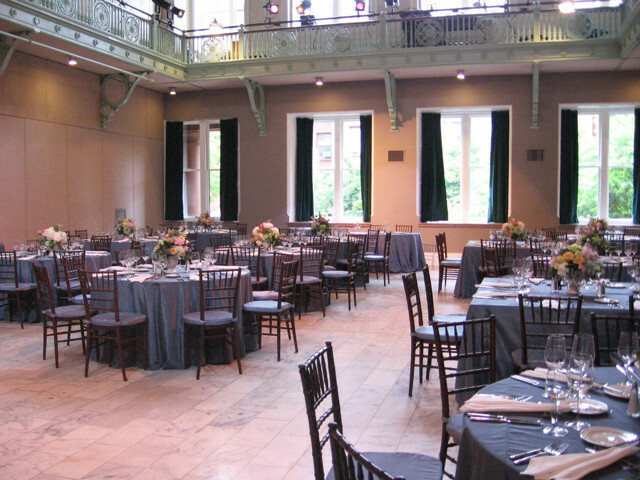 Perfect for any occasion, our distinct venue includes a theater, a gallery, and a kitchen available for weddings, private parties, corporate and non-profit events. 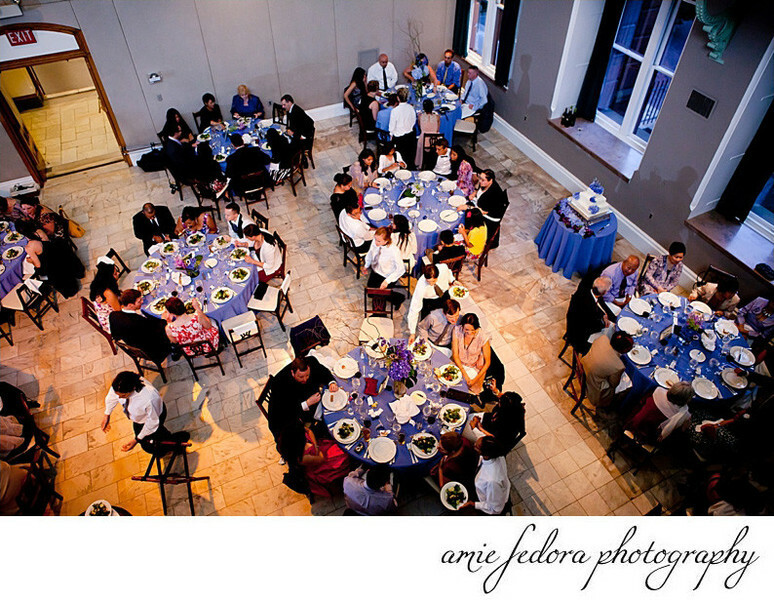 For detailed information, please see our rates, caterers, and photo links above. 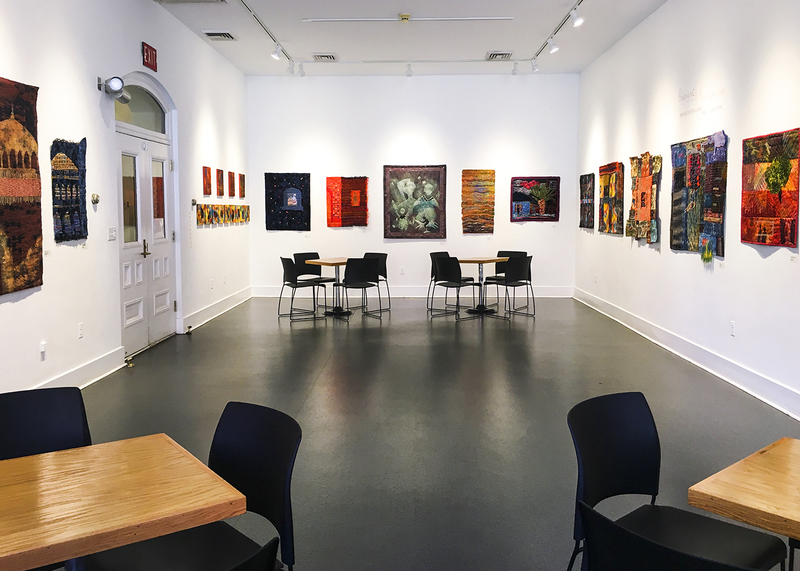 The Multicultural Arts Center, a visual and performing arts center, is conveniently located in East Cambridge near I93, MBTA Lechmere Green Line Station, Kendall Square Red Line Station, and the Galleria Mall. 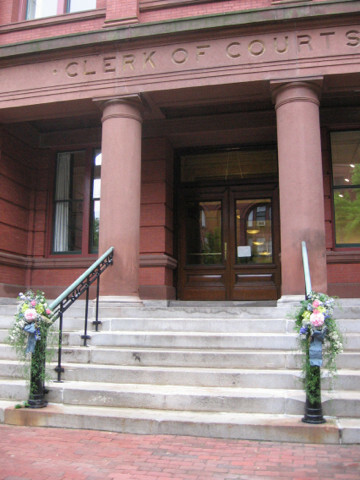 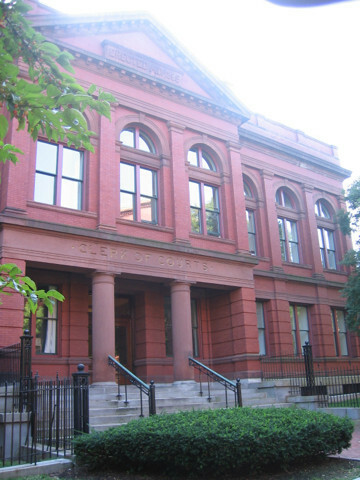 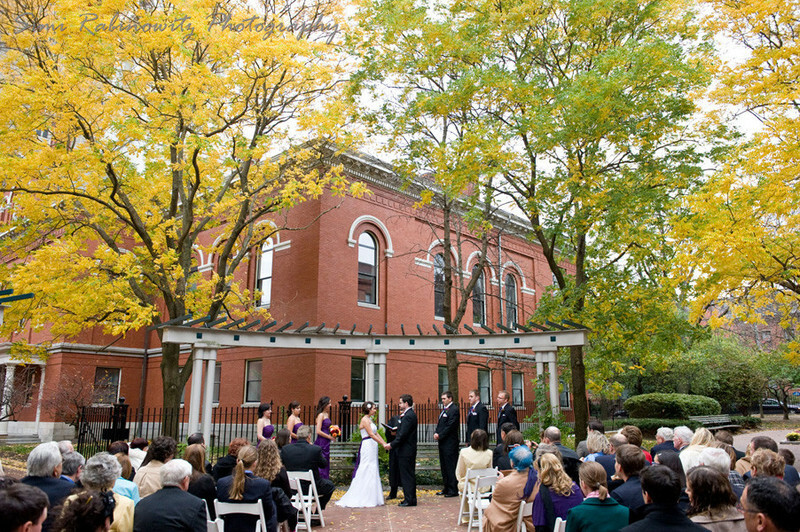 Listed on the National Register of Historic Places, the building was originally designed in 1814 by renowned architect Charles Bulfinch, erected in 1889, and renovated in 1985 by architect Graham Gund as a performing arts center. 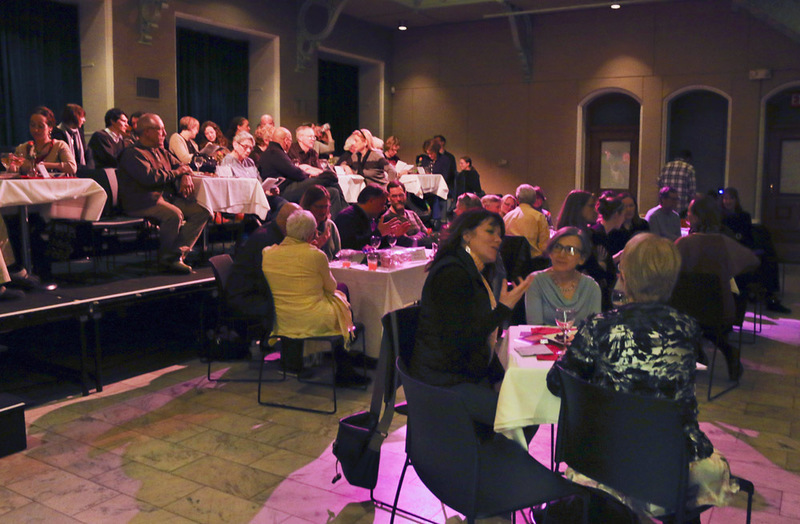 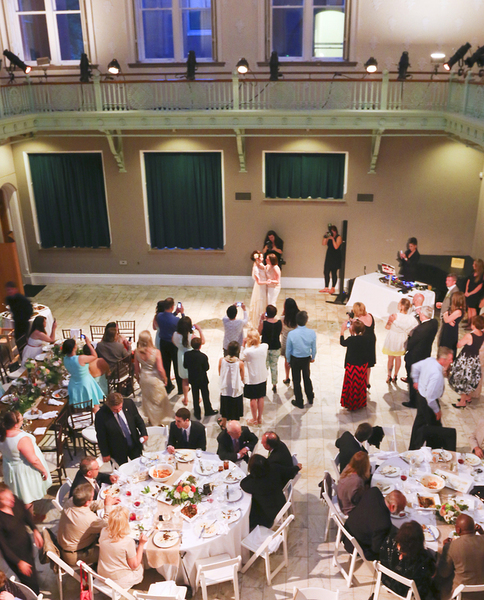 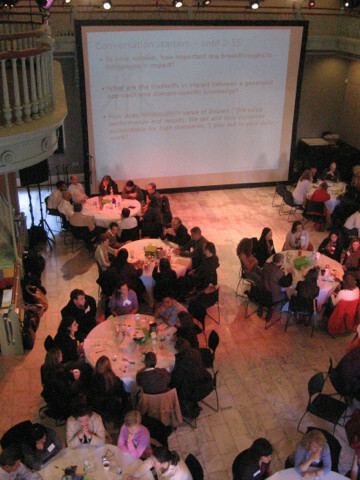 Depending on your needs and general set-up, our theater accommodates approximately 150 people for a seated dinner with room for a small dance floor area, or 200 people for a standing reception. 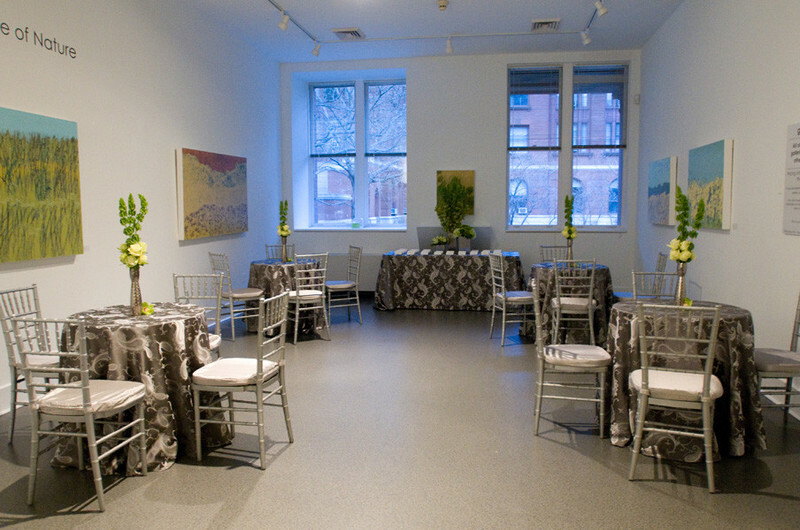 Our Gallery accommodates 40-50 people seated. 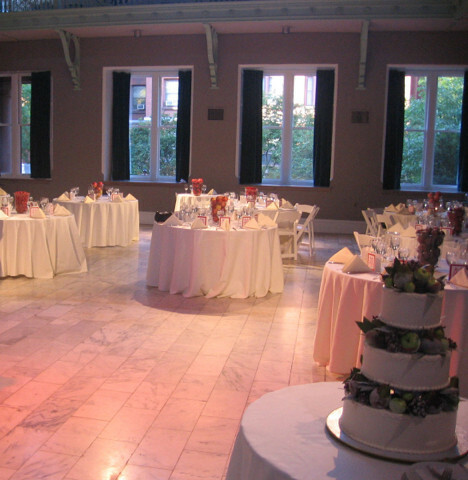 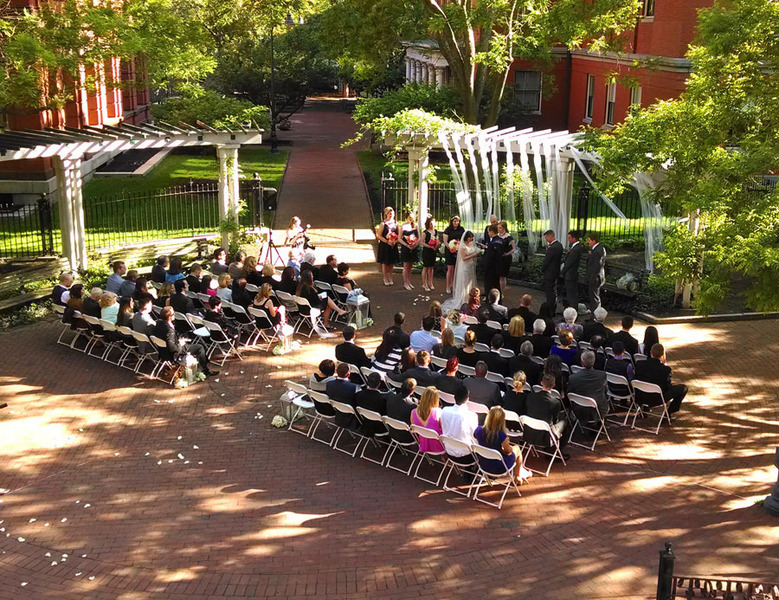 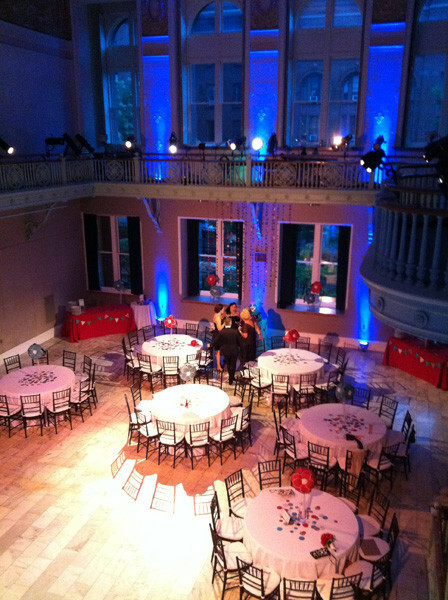 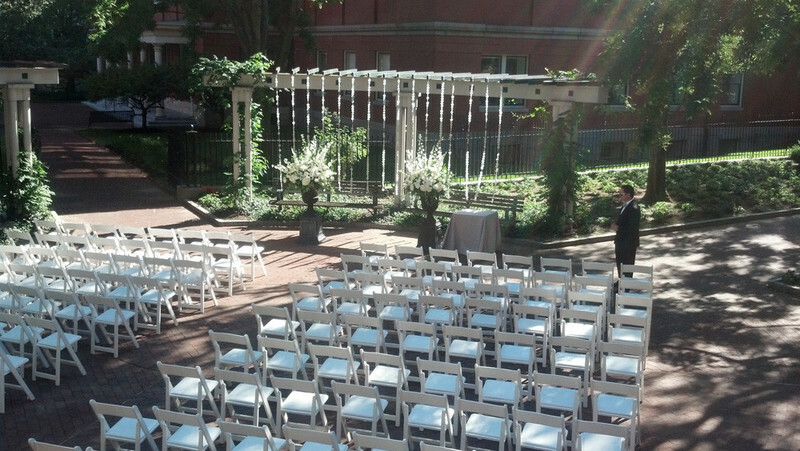 Rental packages include use of our venue only. 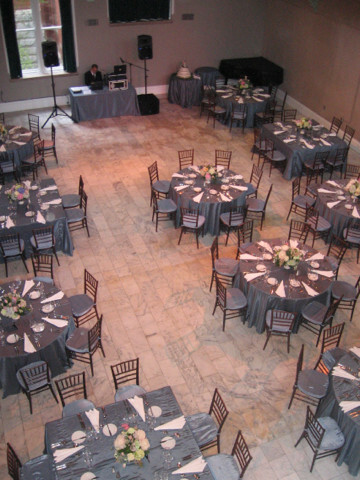 For rental of chairs/tables, please see Additional Rental Items. 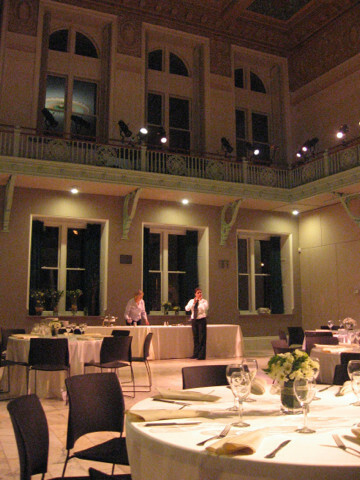 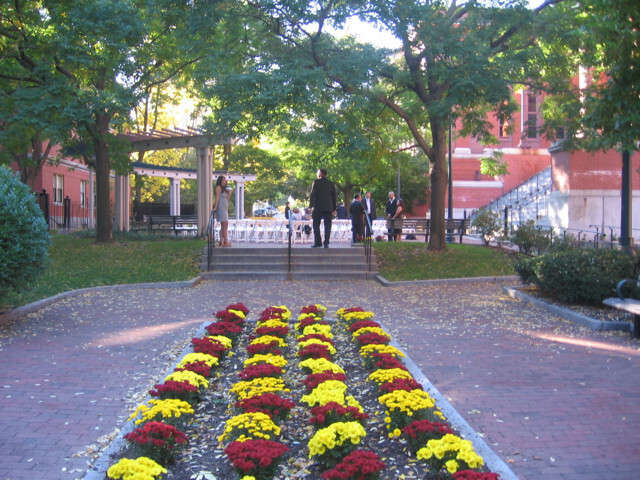 Items such as linens, dishware, cocktail tables and decorations or flowers must be organized through an outside vendor as we do not provide these services.